Ah, tax season. While filing is a drag for some, it can be a huge opportunity if for those of us about to hit paydirt. Finally, that ratty spare bedroom can get some love! Of course, you’re probably not looking for a total overall either—yes, a couple extra hundred bucks feels like a windfall now, but it goes faster than you’d think, especially in a room makeover. These small projects will help you update your space without getting massively over budget. So what are you waiting for? Let’s get started—and let Uncle Sam redo your bedroom! There’s a reason it’s called spring cleaning. If you’re using your return to punch up a spare room, the first thing to do is to purge—guest bedrooms have a way of collecting that junk you can’t find a home for. 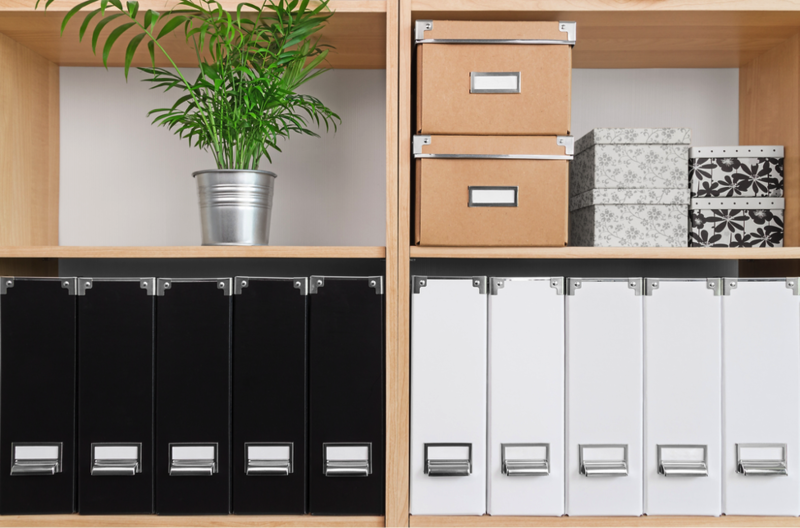 There are hundreds of ideas for getting organized, but the truth is, your method should be matched to your mess. If your junk’s not really not junk per se, but more sentimental keepsakes like photos or travel souvenirs, have a friend help you decide what to toss. They’ll be able to keep an objective perspective. Office supplies that have gone unchecked? Throw away anything you haven’t used in a year. Clothes that need to be sorted? Take any “to give away” piles to the donation center right away, since waiting runs the risk that they’ll become untidy again. It’s not exactly news that a fresh coat of paint can really transform a space. But it bears a mention because it can make such a huge difference in a room—and because it will fit well into your return budget. Go for cozy earth tones or neutrals here; greys, browns, greens, and yellows that will make guests feel warmly welcomed while giving a cramped space a luxurious feel. 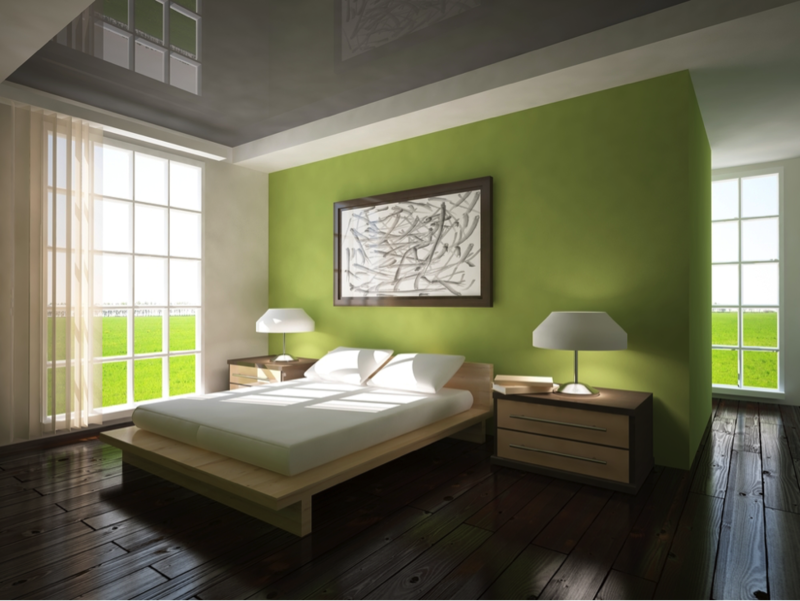 To keep things from getting too sleepy, though, trying pairing with bright, bold accents, like azure or saffron. Messing with lighting sounds scary at first—anything that could involve an electrician probably sets your teeth on edge. But thanks to an explosion in unique lamps and lighting options, you can probably get away without hiring a professional at all. 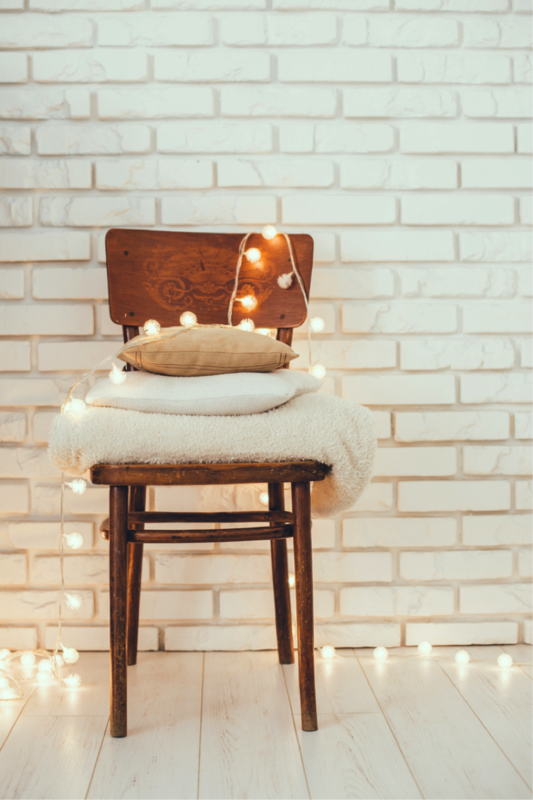 One trend I really love right now is string lights—there are lots of mature alternatives that can get you that warm, glowy look without turning your room into dorm room nostalgia. 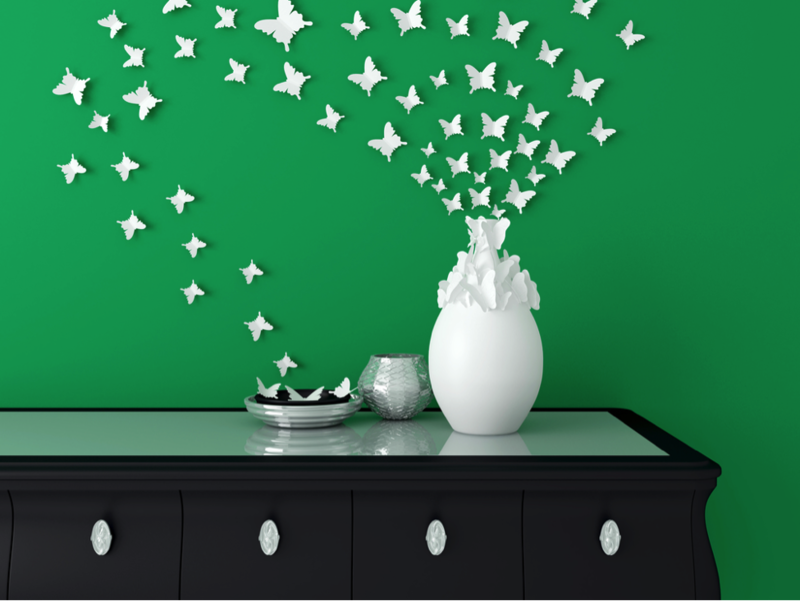 Wall decorations are a chance to make a space your own. 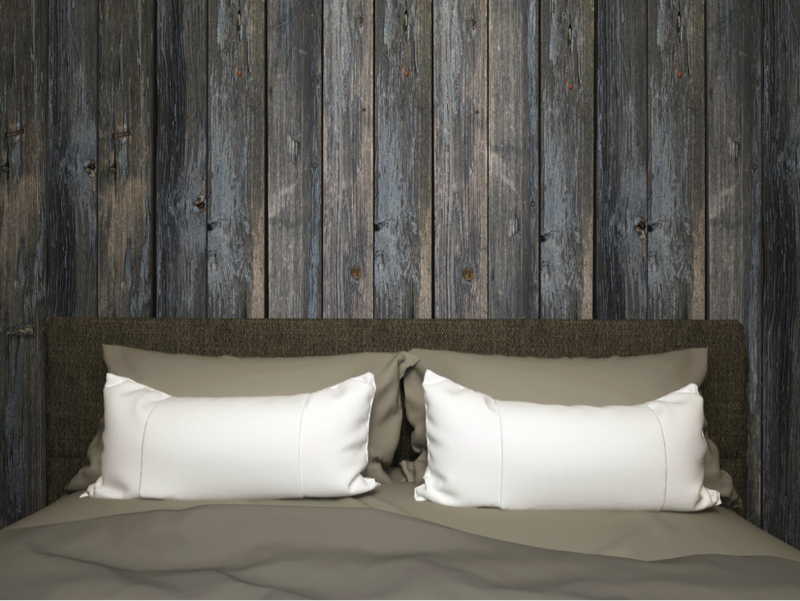 Rustic wood and naturalistic pieces are very popular right now—reclaimed and distressed items stenciled with monochromatic details are making the rounds with their rugged, individualistic flair. But this is also a great opportunity to display your photos or art in an eye-catching way. A wall art collage works perfectly here, and it will help you make use of some of the afore-mentioned “junk” as well. A headboard can be a real statement piece in a smaller guest room. And when you DIY, it’ll be affordable, even if you tax return was, shall we say, more modest than expected. Some very of the most impressive projects have been made using old barn doors, salvaged glass windows, upcycled pallets, and found shutters—even large mirrors or hanging tapestries can repurpose with high style. A bed really does a lot of talking in a space that may be hosting world-weary travelers. Add an inviting, plush duvet cover and extra pillows and your guests will be massively thankful—and affordable duvets can be found at many popular home goods retailers, like IKEA and Crate & Barrel. Meanwhile, if you’re really trying to stretch that return money, you can even make accent pillows yourself—there are plenty of simple patterns out there for those handy with a sewing machine. 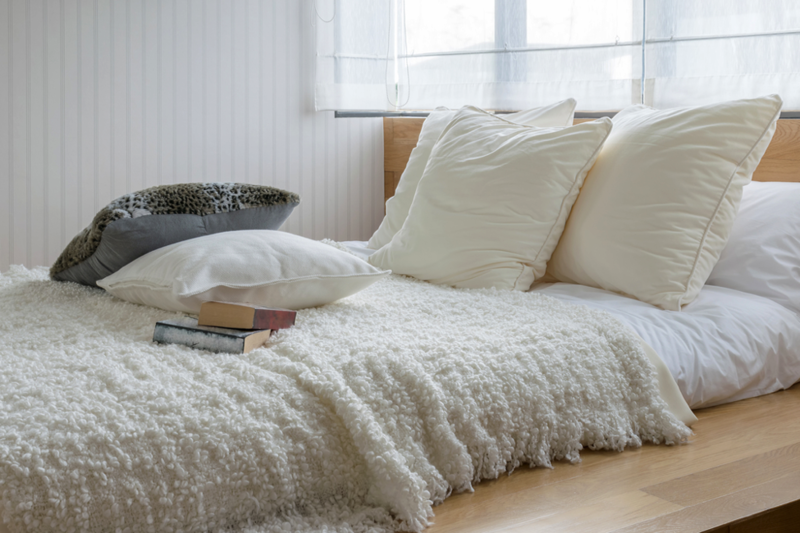 In a guest room, bright, light bedding in whites or creams is recommended—it looks super clean and welcoming. Now that you’re armed with ideas, it’s time to go out there and stimulate the economy—and get your guest room makeover rolling!